We offer the M65 Decoflair rosette made of polyurethane manufactured by the French specialist company NMC. From its 430mm diameter, it can effectively hide the imperfections in your ceiling. They are sold white with an underlay to allow you to paint it in the color of your choice. 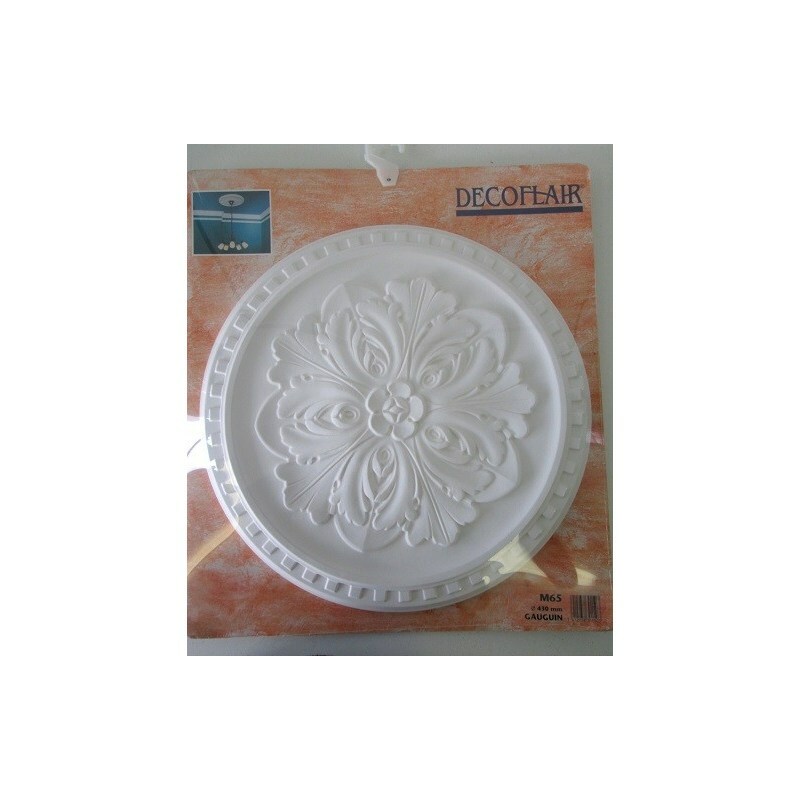 This is the Decoflair M65 decorative rosette made of polyurethane manufactured by NMC, the leading European group of decorative moldings in polystyrene and polyurethane. It will allow you to effectively decorate your ceilings by masking imperfections or unwanted elements such as sconces, and can complement aesthetically decorative moldings. They are sold white with an underlay, so you can paint it in the color of your choice and match it to your home decor. A dignified rendering of a professional job awaits you. NMC M65 rosettes have a diameter of 430mm, so they can effectively hide larger elements and imperfections. Constructed of polyurethane, they are designed to be durable, and also offer crisp cuts if you work them. These items are sold white and require a coat of paint of the color of your choice. Each rosette packaging contains one unit. M65 NMC Decoflair rosettes are made of polyurethane and therefore have a primer underlayment factory, a single layer of paint can be sufficient. This allows the use of all types of paints, we advise you however to make a trial beforehand. To put a rosette, the ideal amount of glue is about 110g of glue. Provide additional accessories, such as a cartridge gun and a sponge to clean any excess glue. The products manufactured by NMC are designed in France by experienced professionals using materials of excellent quality, guaranteeing you a quality merchandise irreproachable.